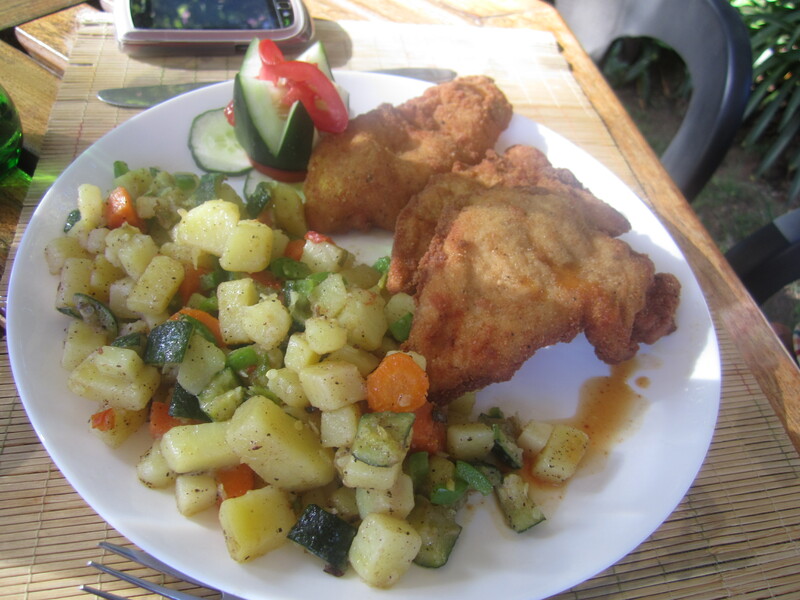 Posted by Wairimu in food, Wairi's World, What's cooking? I have always been curious as to what kind of food Egyptian cuisine entails. I figure it a little like Middle Eastern food, or Moroccan; a little bit of hummus, a tagine, koftas, mint yoghurt etc. So the other day, while avoiding traffic we drove down Kindaruma road, and spotted Masrawy Restaurant. I had to do a double take, and the sign said Egyptian restaurant *little people were doing a jig in my tummy* as we know, I love trying new things! So on a lovely sunny afternoon, we went to Masrawy for lunch. For those of you not familiar with Nairobi roads, Kindaruma is off Ngong road, right near St. Nicholas Primary school, behind Coptic Hospital. My directions are improving slightly. Going in, we were the only car in the parking lot, which some people believe is a bad sign. But we went in, and were pleasantly surprised. The restaurant is set in the garden, which makes for great al fresco dining. They have these large cushioned chairs, which I was hoping we’d sit on but they were all occupied. It is actually really beautiful, if you’re looking to chill out, smoke some sheesha, and soak some sun, of course a glass of wine cannot hurt! We had an interesting waitress, who I guess because of the language barrier had no idea what some of the items were on the menu, and at some point had forgotten to order the starters. One of the head waiters came over to help her out. And he soon informed us that, everything they serve is dry. Dry? Like no gravies or stews. 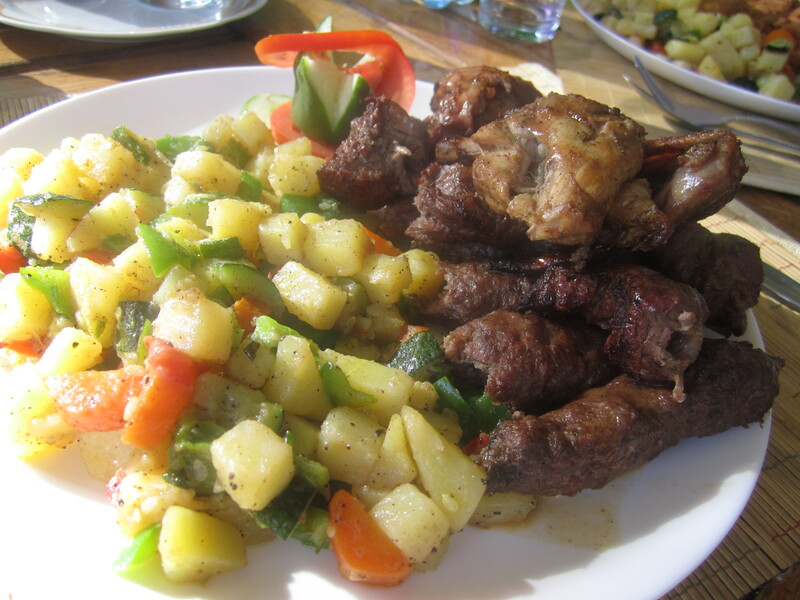 This is strange for me because we all know I like some meals with a lot of thufu (soup)… It’s just the Kikuyu in me! I had the mixed grill. Now I usually shy away from such large meals, being a bit of a nibbler sometimes. But I was especially hungry, having only calamari the night before, I required something heavy. When it came out, Lord! I nearly fell off my chair…grilled chicken, beef and lamb koftas served with sauté potatoes and vegetables, pita bread and a side salad. You tell me that isn’t instant itis! I loved the meats, they were marinated to perfection, and the meat was soft too! Though some sort of yoghurt sauce wouldn’t have hurt too much; they had none. Babu had Chicken Panee. The waiter said it was coated in breadcrumbs and served with sauté potatoes and vegetables, WITHOUT a sauce of some kind… I’m like that is one dry meal! It’s like we once had a house girl or several who cooked roast chicken, mukimo, rice and chapati! Like eh so we wash it all down with water? I think this is where my love for soups and stews stems from. The waiter did offer us, a hummus mixed with ketchup sauce on the side. I was a little skeptical about this one; since when did ketchup and hummus go together ever? But once I put it in my mouth I was like “mmmmmmhhh” totally caught me off guard that sauce! I’m pretty sure they add some other things to it, not just ketchup. 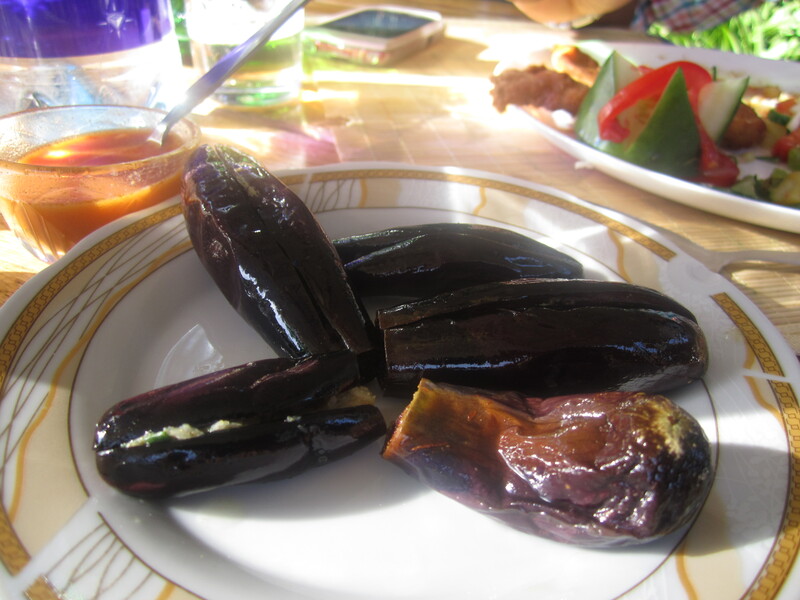 We also had pickled aubergine (eggplant), which I only ordered out of sheer curiosity. I loved it, it was sour and sweet I your mouth, and definitely helped cut through the heaviness of the meat. I really liked this place, I like that you can come chill out here, and I also like the prices. It isn’t overly expensive; actually it isn’t expensive at all! I dare say this, but I think I am replacing Abyssinia (Ethiopian restaurant and regular haunt) with Masrawy! Hopefully I can drag my peoples along too… Gathoni, Ganjo, Mulunda? Anyone? So check it out, and if you are down there please give me a shout! I will not hesitate to be there in heartbeat!